For over 25 years, the Little Rock attorney Paul James has focused his career in a variety of legal areas. He primarily practices in the areas of litigation, personal injury, civil rights, product liability, negligence, wrongful death, criminal defense and commercial litigation. After receiving his Juris Doctor degree in 1982 from the University of Arkansas at Fayetteville, Mr. James practiced law with former United States Attorney W.H. “Sonny” Dillahunty for four years. He gained valuable experience and training in litigation during this time, which he has continued to build upon throughout the years. Inspired to establish his own law firm, he co-founded this law firm in 1986. Mr. James has maintained his varied litigation practice since the firm’s establishment twenty-five years ago. Representing individuals who have been injured has always been a primary focus of Paul James’ legal career. Personal injury cases that Mr. James has represented have involved numerous catastrophic injuries including traumatic brain injury, paralysis and wrongful death. Civil Rights is another area of focus in which Mr. James has devoted his efforts. He has taken on lawsuits against government entities to litigate violations of constitutional rights on behalf of both individual and class action plaintiffs. Paul James’ experience also encompasses criminal defense representation in state and federal courts. He has represented defendants in white collar crime such as cases involving government fraud, including Medicare and Medicaid fraud. Another area of emphasis throughout Mr. James’ legal career has been commercial litigation. Among his clients have been numerous automobile dealerships and a variety of other businesses. Commercial litigation has frequently involved resolution of contractual disputes. Paul James belongs to numerous bar associations and professional organizations where he has contributed in a leadership capacity by holding positions on boards of directors and other officer positions. A noteworthy example is his participation as one of the founding members of St. Thomas More Society of Arkansas which was sponsored by the Roman Catholic Diocese of Little Rock and where he served as its President and on the Board of Directors. Mr. James is AV rated, the highest recognition awarded by Martindale-Hubbell for legal experience, skill, integrity and professional excellence. 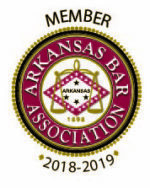 Membership: Pulaski County, Arkansas and American (Member, Litigation Section) Bar Associations; Arkansas Trial Lawyers Association; The Association of Trial Lawyers of America; St. Thomas More Society of Arkansas (President; Board of Directors); Associate, American Board of Trial Advocates (ABOTA). Admissions: 1983, Arkansas; U.S. District Court, Eastern and Western Districts of Arkansas; U.S. Court of Appeals, Eighth Circuit. Reported Cases: Smith v. Norris 103 F.3d 637 (8th Cir. 1996); State of Arkansas v. Pulaski County Circuit Court 326 Ark 886, 934 S.W.2d 915 (1996); aff’d. on reh’q, 327 Ark. 287, 958 S.W.2d 815 (1997). Miscellaneous Information: United States District Court Eastern District of Arkansas, Federal Practice Committee 2014-2016; Blue Key; Phi Alpha Theta; Phi Alpha Delta. Henry Woods Inn of Court (Board of Directors). .William R. Overton Inn of Court (President, 2001-2002, Counselor, 2000-2001, Secretary-Treasurer, 1991-1997 and Master). Member, Board of Directors, Little Rock Serra Club, 1984-1985. Chair, Arkansas Public Defender Commission.